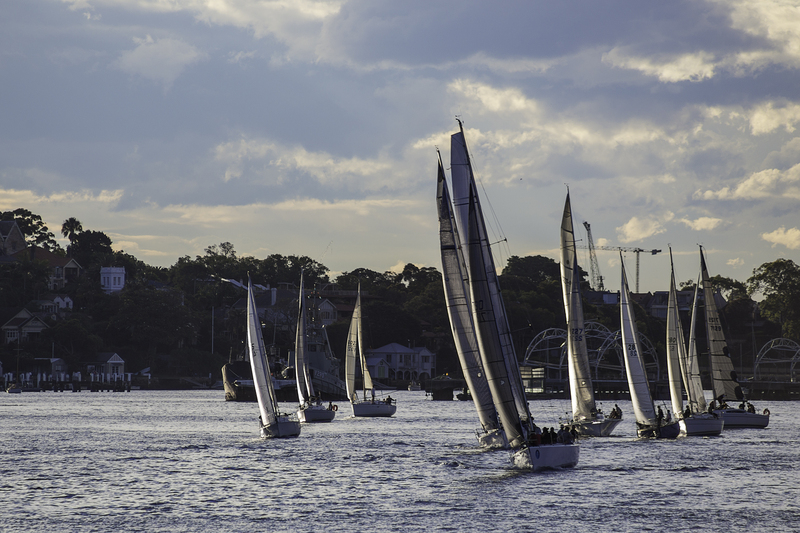 It has been a few busy days since the last race at Greenwich. 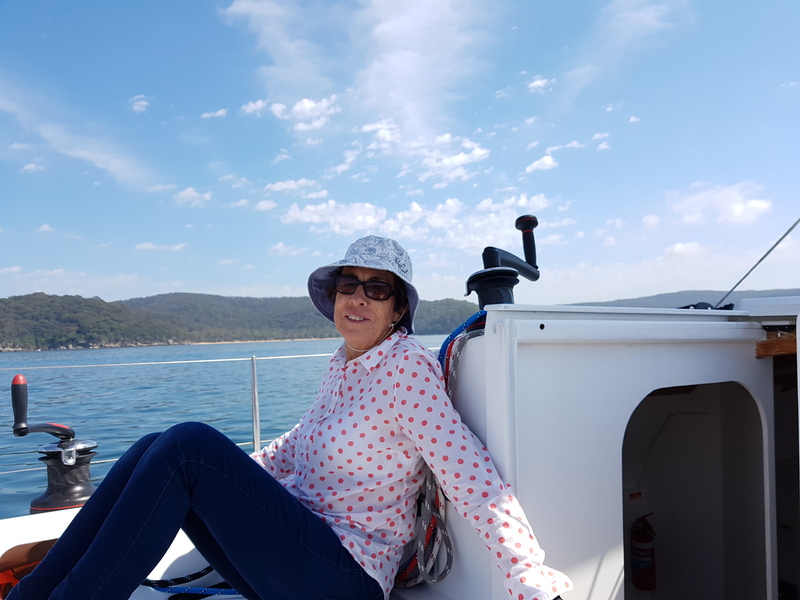 On Thursday I was preoccupied connecting the NBN HCF connection and on Friday preparing Passion X for a quick exit to Pittwater on Saturday. The weather was perfect for a very tight beat up and a broad reach home. The beat was perhaps just 2 degrees tighter than I would have liked and the speed difference was noticeable but I was too lazy to bear away and have to tack back out to sea. At Refuge Bay the boom tent awnings provided excellent protection from the sun and Passion X was more comfortable than Passion by a long way. On the run home we did miss the Bimini but made up for it with long pants, long sleeved shirt, wide brimmed hat and plenty of sunscreen. 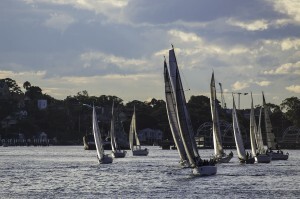 I was disappointed with last weeks race at Greenwich. It was almost a retrial of a race earlier in the season where I said I would like a resail with the No 4 jib instead of the No 3. 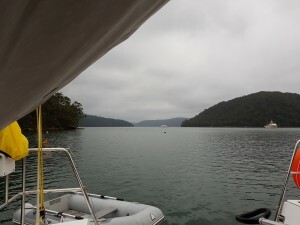 Well it was better on the work to Goat Island and on the run back to Cockatoo and we were still in contact at the West end of Cockatoo island until we became becalmed in too close to the lee of the island. The small jib and reefed main need plenty of wind to keep the boat moving and we had none of that. The second windward work was also very gusty but with a lot of holes and in the holes we suffered probably more than most and the gains in the gusts were not material. The final disappointment was to see Soundtrack pull out the reef in the main and with a much larger genoa just power away from us on the work home from Cockatoo Island. Well done to the crew on Flashback who set a very conservative rig for the first windward work and held on for a good win. We expect Much Ado 5 to do well and they did come second with a heavy air loving Lisdillon beating us by 4 minutes over the line and 7 minutes on handicap. While the top guns from Dump Truck and Much Ado V were away playing with Infotrac the rest of the GFS Black fleet enjoyed the YOTS night at the club. 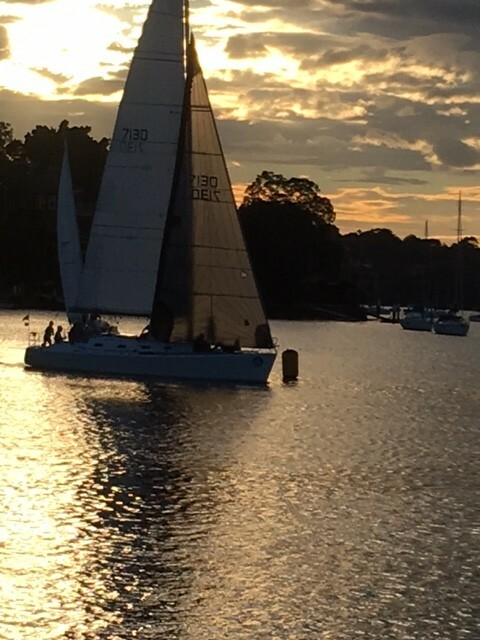 A group of enthusiastic youths from Youth Off The Street descended on the club and we were fortunate to have three strong young men join Passion X for their first sailing experience. We were delighted to give them a close race with Jackpot and Flashback and even more delighted to score a fastest times win. Courtesy of our photographic ambassadors we have some more photos from the evening. The race was conducted in the aftermath of a rain and lightning front that had me a bit concerned. The BOM rain radar suggested it would all clear up in time and so it did with the wind returning right on cue. 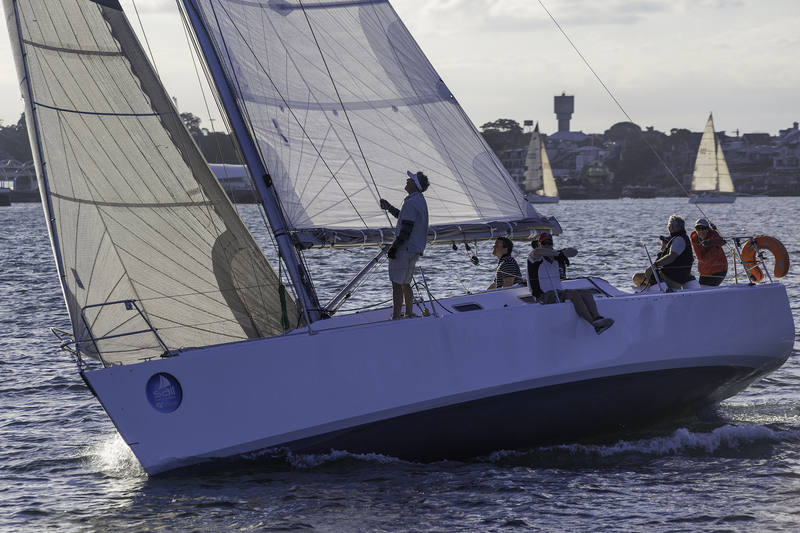 With the change in wind direction the only was to cross the line was on starboard tack but for some reason a couple of port tackers forgot what was their left hand and what was the right hand and even refused a call. To make matters worse they tacked onto starboard on front and forced us up above our line. No wonder we were not first into Humbug and had to chase Jackpot down the course in just a couple of knots of breeze. It was pleasant with the three young guns on the bow lifting the stern of Passion X right out of the water and reducing the wetted surface. 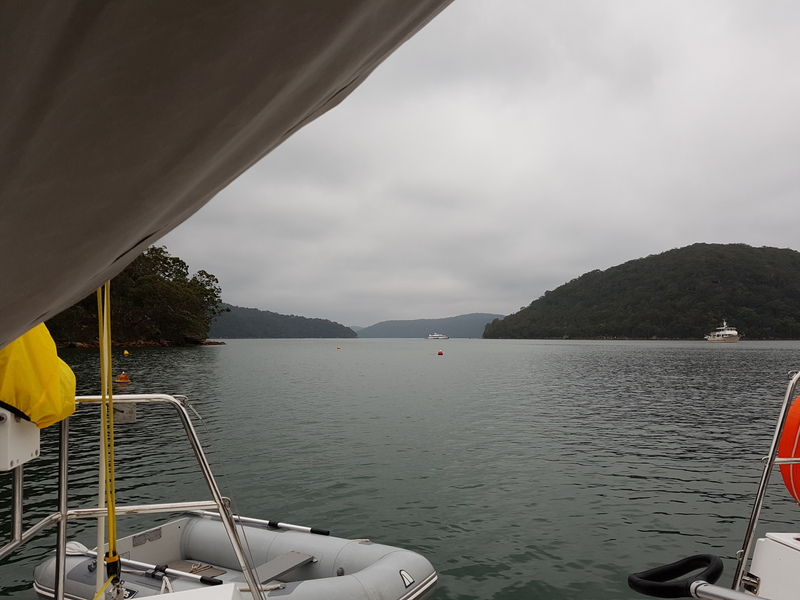 We had just snuck past Jackpot and were still in front of the menacing Flashback when fresh wind sprung up turning the run into a tight work to Goat Island. 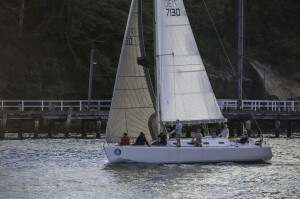 Being in front helped as we had first use of the breeze and held the lead around Goat and back past Snails Bay. In Snails Bay the YOTS trio provided live ballast so we could take advantage of the last gusts to come up the river. Jackpot and Flashback were giving each other a bit of treatment behind and that left us to concentrate on using what fluky wind there was. Through Humbug our first two tacks were right out of phase and the chartplotter tracks show how easy it was for Flashback to catch and lead us out of Humbug. Our salvation was a starboard tacking red fleet yacht that put Flashback about leaving us free to sail closer to the lay line to the finish. We took advantage of that piece of luck from to windward and Jackpot took advantage from leeward to establish the finishing order. Nothing it seems can stop Sweet Chariot winning on handicap with a naughty 35 footer in second place while we managed the third spot for the night. 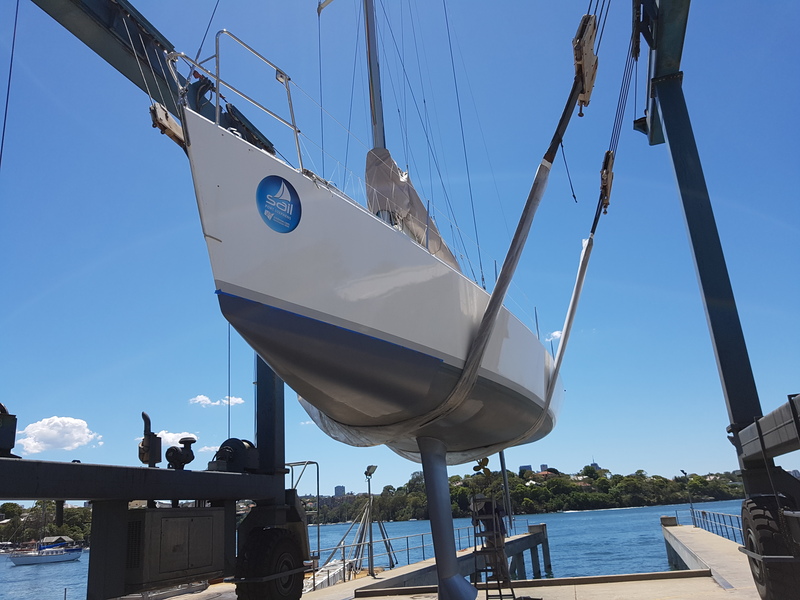 Today we had lift at Woolwich Dock to touch up the antifouling on Passion X and it was a stunning Sydney day for the task. Light duties are driving me nuts since I would rather be out on the water testing sail settings on Passion X than sitting at home writing blogs. I am also mortified that my gentle observation on my face book page that we need to do better to sail to our difficult ORCi and ICR ratings was cheekily construed by a “friend” as wielding the cat o nine tails whip. The crew has already rejected T shirts bearing the observation “The beatings shall continue until morale improves” so perhaps I am just digging a deeper hole by raising the topic. 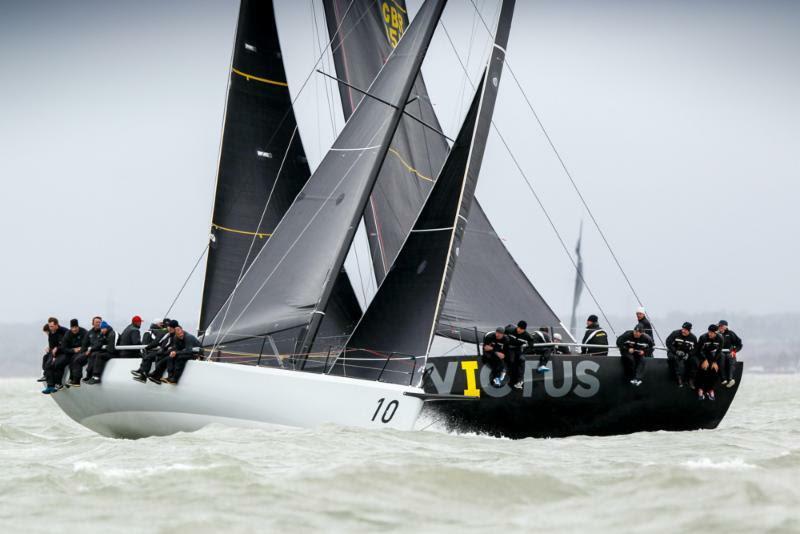 Despite my disbelief at the level of our ratings in both forms of the game (ORCi and IRC) I do believe we are not sailing the yacht to its potential. The crew have observed some very good performance and we would like to emulate them more often. Some recent very good photos of Passion X on a twilight evening at Greenwich Flying Squadron gives a basis for comparison with the really top gun boats in the 40 ft size range. Tongue in cheek, but perhaps more seriously than that, I have found a few photos for comparison. 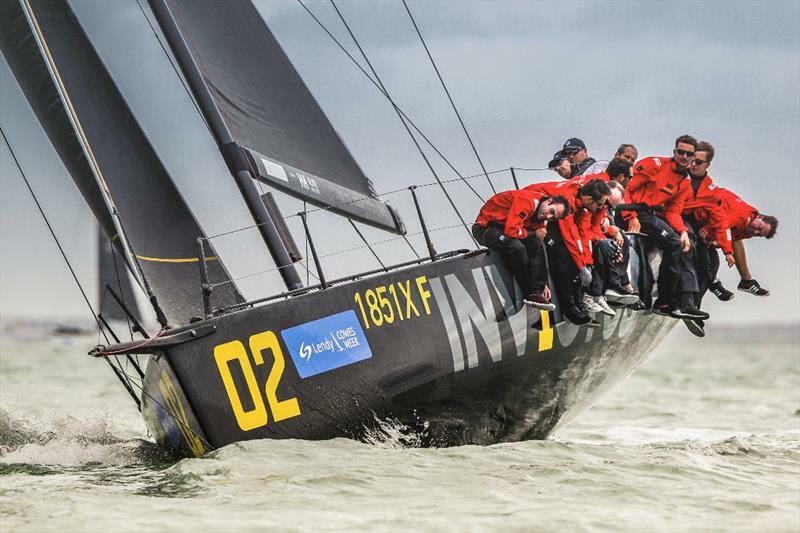 Apart from the rather obvious large numbers of crew leaning hard from the rail of Invictus there are some sail setting observations worth considering. These Fast 40+ yachts have wider spreaders and despite that their sails when beating in heavy air are well wide of the spreaders and their booms are dropped to leeward. This is something we need to experiment with and find how to have such a free leech with out it flogging in the wind or hooking with a tight leech line. Passion X current windward sail settings. This was in a light patch of an other wise average 13 knot evening. Girls on Film on starboard crossing Invictus on a hard windward beat. Note the jib twist and boom down.